Our 10th Medium-Term Strategy has five pillars that influence all areas of the Institute’s work and serve as guiding principles in implementing our mission. The five thematic areas are social inequalities, learning outcomes, education system resilience, governance and accountability, and education financing. Discover all of them in our strategy! Evidence abounds of a widening gap between schooling and learning. 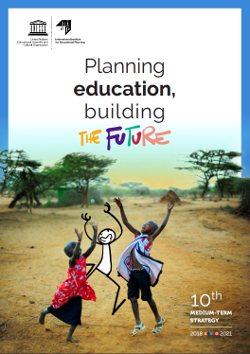 At the same time, there is a growing recognition that learning is part of a larger set of desirable education outcomes explicitly included in the Education 2030 agenda. 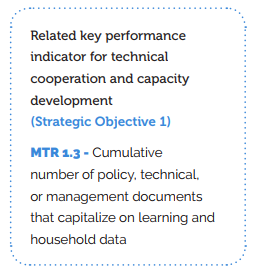 These include a specific target on skills for work (SDG 4.4), and another on education for sustainable development and global citizenship (SDG 4.7). Alongside this wider set of education outcomes for planning and management, there is a need for increased attention to external efficiency (i.e. professional, individual, and collective outcomes) rather than the traditional monitoring of internal efficiency. What has not changed is the vast range of factors that together produce these education outcomes – from learner support structures starting in early childhood, to teacher and school management, curricular choices, infrastructure, learning material, system management, and financing. While an analysis of learning inequalities is standard in sector analyses, the 10th MTS will give more attention to the use of learning data to inform policies, strategies, and interventions. IIEP will work with partners to develop education management information systems (EMIS) which include a wider range of quality indicators to promote monitoring of cognitive and non-cognitive learning. IIEP’s Learning Portal will be further developed to inform dialogue, debate, and practices related to planning for improved learning. Sources of data outside of education systems, including labour market data and household surveys must also be utilized. Beyond schooling, IIEP will explore how educational provision can better take into account economic demand and the question of educational requirements for the ‘future of work’. This will build on the Pôle de Dakar’s experience in supporting the implementation of TVET policies, the portals in Buenos Aires, and work on internal quality assurance systems for graduate employability in Paris. Training on external efficiency and alternative education programmes will be expanded. Promote quality assessment frameworks in planning and management. Continue development of the IIEP Learning Portal. Support policy-makers and practitioners in identifying and implementing context-relevant interventions to promote learning. Develop the training offer on education and labour market issues. Expand research on teacher management issues affecting the profession and teacher quality, including for refugees. Integrate ECD into the training offer and develop new course.